Indonesia is pushing to ban new palm oil operations after last year's haze-belching forest fires were partly blamed on the industry's expansion, but producers are warning the move could hit the economy and green groups are sceptical. President Joko Widodo in April proposed a halt on granting new land for palm oil plantations in the world's top producer of the edible vegetable oil, a key ingredient in many everyday goods, from biscuits to shampoo and make-up. In a statement, he said that "palm oil concessions available at the moment are already adequate" and urged producers to concentrate on using better seeds to increase their yields. 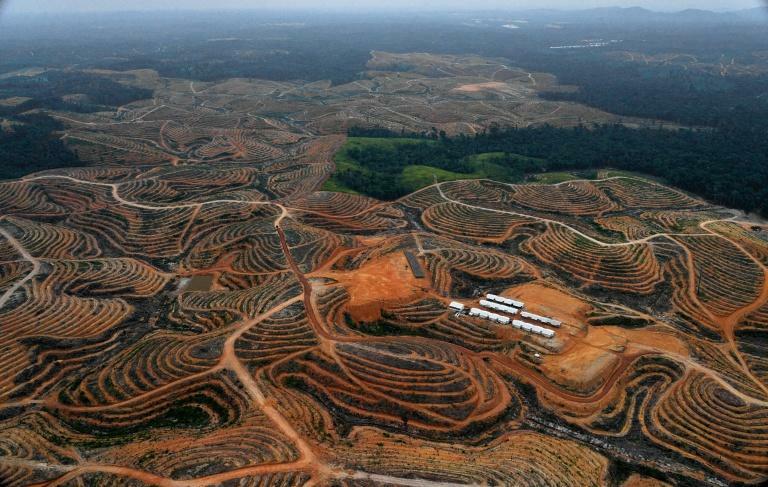 Plantations on Sumatra island and the Indonesian part of Borneo have expanded in recent years as demand for palm oil has skyrocketed, bringing huge profits to companies and healthy tax revenues to the government. The 2015 blazes were the most serious for some years, worsened by dry weather caused by an El Nino phenomenon, and cloaked large stretches of Southeast Asia in toxic smog for weeks, causing hundreds of thousands to fall ill, disrupting air travel and fuelling anger at Jakarta. The proposed moratorium on new concessions is the latest move by Widodo aimed at reducing environmental destruction caused by the industry and halting the annual smog outbreaks. But the Indonesian Palm Oil Association warned that the ban could damage a mainstay of Southeast Asia's biggest economy that supports 24 million jobs, directly or indirectly. "Palm oil is a strategic sector which contributed $19 billion in exports in 2015," said Tofan Madji, a spokesman for the group, which represents some 650 companies. "It contributes to economic growth, especially in remote areas." Activists were cautious about the proposal, with Greenpeace Indonesia warning it would not be effective unless the government introduces a tough regulation, rather than just a weaker "presidential instruction". The details of the proposed moratorium are still being discussed, and it is not yet clear when it will be adopted, the environment ministry said. Kiki Taufik, Greenpeace Indonesia forest campaigner, also warned of implementation problems as various parts of government would need to work together for a ban to operate smoothly. "This is probably one of the hardest parts. Lack of coordination among officials is common and it often leads to bad implementation of regulations," Taufik said. Implementation of laws is also difficult due to heavily decentralisation of power across the archipelago of more than 17,000 islands, with rules set in Jakarta often flouted by local administrations. A moratorium on new logging permits on primary forest and peatlands -- defined as areas not logged in recent history -- has been in place since 2011, but campaigners say it has sometimes been ignored when local governments grant concessions. The palm oil plan follows a 2015 ban on new development on all peatlands after swathes of carbon-rich peat were drained for use as plantations in recent years, creating highly flammable areas. The government has also pledged to punish more than 50 companies accused over last year's forest fires. But it suffered a setback in December when a court rejected a $565 million lawsuit against a pulp and paper company accused of failing to prevent the blazes. Some believe that little can be done to stop the annual fires when there is still money to be made from palm oil. "The main cause of forest fires is greed," said Herry Purnomo, a scientist at the Indonesia-based Center for International Forestry Research. "As long as people want a quick return, quick money, the forest will keep burning."